just wanted to say thanks for the totm VOTE! really appreciate the TOTM vote thank you!! in your old f150 on the dirver side rear under the rear seat what sub box is that. did you buy it or did you make it? Thanks man, lift is a rancho 4 in.. paid around 1500 if I remember correctly.. Came with new radius arms.. I'll take one as soon as it stops raining, no problem.. Thanks again for the compliments! If you go with the Rancho 4-inch system, I think you will be very happy with it. Good luck and post pics when you got 'er done! 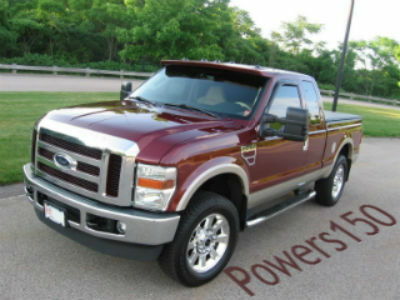 Description: Fully loaded FX4 including Luxury Package, Power Heated Sport Leather Captain Chairs with Center Shift Console, Sony Navigation with Microsoft Sync, Backup Camera and Reverse Sensing System, Power Moonroof, Power Sliding Rear Window, Power Adjustable Pedals, Tailgate Step, 20-inch Aluminum Wheels, Chrome Sidesteps, Trailer Brake Controller, and 3.73 Gears. Wheels/Tires Modifications: 35-inch (35x12.50R18) BFG KM2s on 18x9 KMC XD Addicts with negative 12mm offset. Interior/Exterior Modifications: Smittybilt Lightbar with (4) PIAA lights with custom dash mounted switches, Amp Research power retractable steps, BakFlip G2 folding tonneau cover, Street Scene billet grille, Pendaliner bedliner, full tint, Vent Visor tinted window visors, and K40 Calibre remote dual-radar/diffuser system.